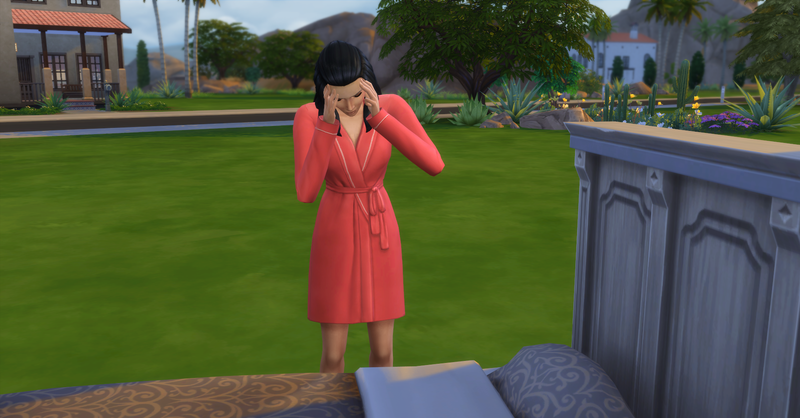 Week 1 is almost over and Rosabelle is feeling the stress and struggle of her first week starting with §0 simoleons! Her funds have increased to over §1000 at this point but that means she is only .1% of the way to her goal of §1,000,000 in her family! Rosabelle wakes up feeling uncreative again, this makes her feel uncomfortable and tense. She slams the door of the fridge again this morning when getting her morning bowl of yogurt (again). 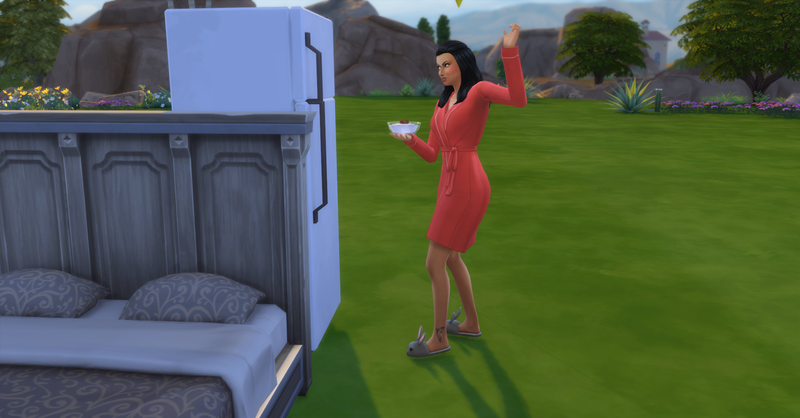 After eating breakfast, Rosabelle goes to the gym to shower and use the toilet there, it’s nicer than hers. 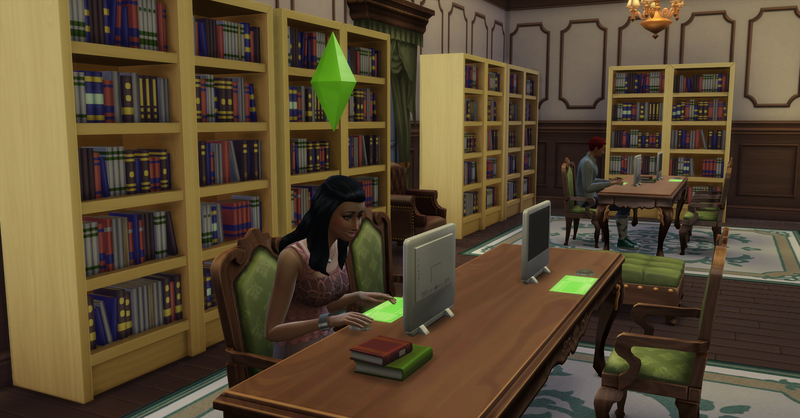 Afterwards, she heads to the library to practice her writing skills before going to work. Unfortunately she doesn’t see Pawel working there this morning. 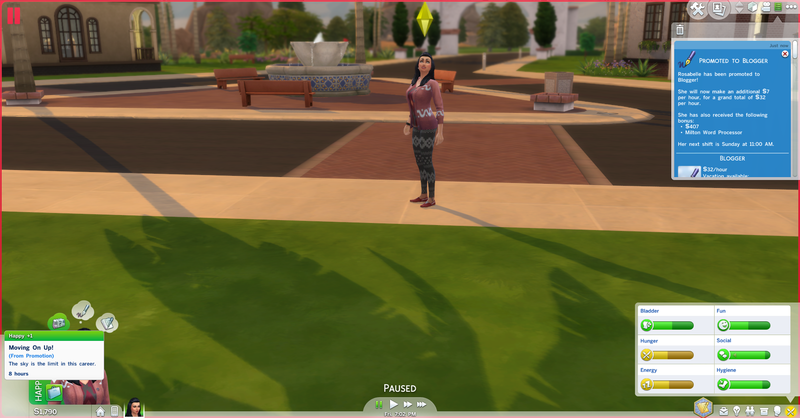 After working in the library for a bit, Rosabelle goes to work. She gets a promotion at work! She looks pretty pleased with herself. Rosabelle makes §240 at work and gets promoted to Blogger which will give her an additional §7 an hour, her funds are now §1830. She also received the Milton Word Processor computer for free! Now she has a way to work on her writing at home! If only she had a desk to put the computer on. When she gets home she goes collecting around Skyward Palms for collectibles and harvestables. 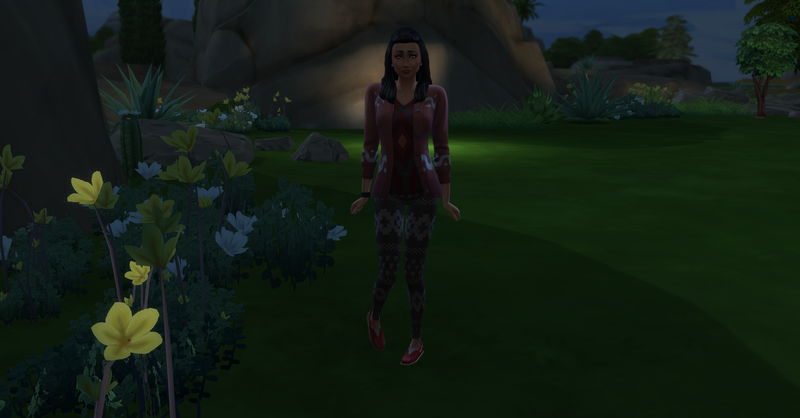 Rosabelle was so excited from being promoted that she forgets to use the toilet or rest at all before heading out on her collecting run and now she really needs to go to the bathroom! Rosabelle goes to bed exhausted but at least tomorrow is her day off and she can get a good rest, maybe she can buy a desk tomorrow for her new computer! Check back soon for Day 7 of our Challenge!